When a car loan offer goes below 2 percent, anyone listening should be paying attention, especially when it comes from a reputable institution like USAA. The well-known insurance company operates a diversified financial platform, including loans for cars. USAA is currently offering members a 1.39 percent auto loan for 36 months, and it can be lowered to as little as 0.89 percent if a vehicle is bought through USAA's car buying program. This is almost financing a car for no charge at all in terms of loan interest. USAA has been around for at least a century, operating as an insurance company for existing and former members of the military. The company has expanded its services to include spouses and relatives of military members, so just about anyone with a military family or wedding connection can join the company. Members can obtain home, car and property insurance, CDs, mutual fund investing, different types of life insurance, and financial assistance during relocation due to military reassignment. The company also has a long-standing reputation for solid service, great customer support and extensive service reach globally for members living overseas. 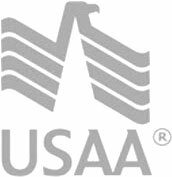 The current USAA offering is extremely competitive and very hard to beat by financial competitors. For those who are eligible to obtain USAA's services, there really is no reason to look elsewhere for financing. The ability to gain financing for an auto loan also works well for refinancing opportunities as well. So if a member is stuck in a current loan that seems high percentage-wise, he should definitely look into USAA's offering for a refinance and a lower loan cost overall.